Update Fall 2014: After many years as "Willey's Restaurant" on Rt. 205 in Colonial Beach, a short break away from the industry with some volunteer work and as the Kitchen/Bar Manager for the Fraternal Order of Eagles Aerie #4315, Colonial Beach, please welcome him back at "Willey's Road Stove" You may have seen it at the recent Bikefest on Town Hill. This mobile venue allows him to remain semi-retired yet still offer some of your favorite dishes and some new ones in a mobile setting. 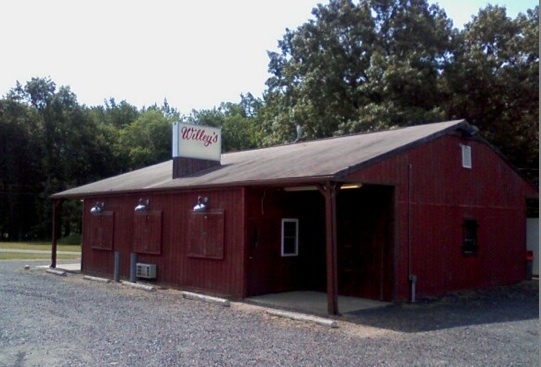 Willeys Ribs/Chicken/BBQ is located on Ridge Road (Route 205) between "Dragstrip Road" (Longfield Road, a.k.a. Route 631) and Treakle Road. This little area is known as Maple Grove. 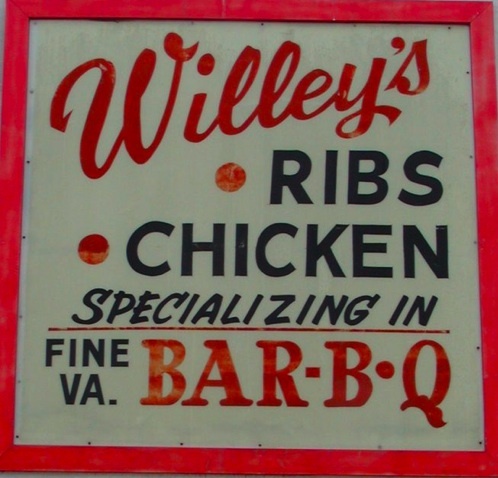 Established in Virginia in March of 1992, Willeys specializes in fine Virginia barbecue. You can either dine in or call ahead and carryout from their pickup window. The last time I ate at Willeys was at a farewell luncheon for a co-worker. The food was great and the staff did a good job accommodating our large party. The restaurant has a fun and comfortable atmosphere and there's plenty of free parking available too. "Just Call, We Smoke 'em All!" Click here to see what's on the menu at Willeys. You'll also find their catering menu here. Restaurant reviews can be found on tripadvisor and yelp.